Contrary to popular belief, “Hinduism” is not a religion, but many distinct religions stereotyped as a ‘single religion’ by the British. Just about every region in the world had various cults/religions. The Middle East was filled with various religions (and still is, though not as much as before) such as Yazidism, Zoroastrianism, Arab paganism, Druze just to name a few. Likewise, Pakistan and it’s surrounding regions were diverse in religions and spirituality. 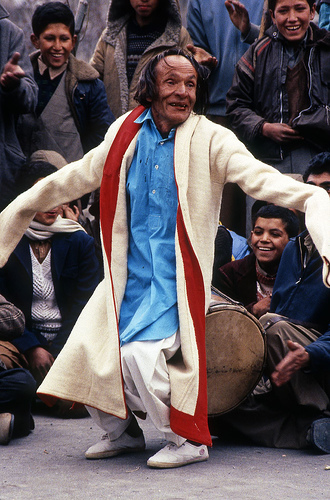 A Shaman from the Hunza Valley in Northern Pakistan. Traces of Zoroastrianism, Shamanism, Buddhism, Sufism (now combined with Islam), Indo-Iranic paganism (now survived by the Kalash) can be found. Even today minorities and Muslims can be found practicing all the mentioned religions/cults and most recently Sikhism, which formed much after the others. 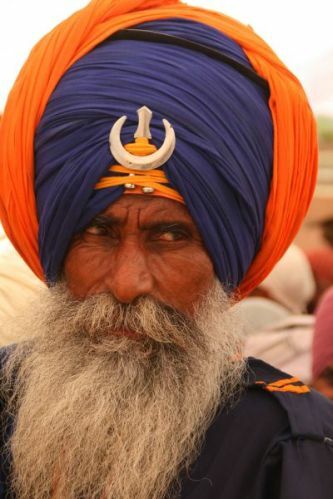 Sikh in Pakistan/India border (by the way Guru Nanak – father of new born religion called “sikhizm” was from today Pakistan). Also contrary to popular belief, Islam was not spread and well established under Arab rule. The Arab rulers managed to establish a temporary presence in coastal areas of Pakistan and other coastal parts of the subcontinent including nearly all of Sindh. Some coastal areas of India may also have been exposed to Islam since Arab traders have been sailing to the Indian peninsula for centuries due to trade and commerce. But the real establishment of Islam occurred with the conquest of Turkic empires starting with the Ghaznavids (from Afghanistan and Central Asia) as they are the first recorded Islamic empire to invade from Central Asia. It all ended with the Mughals (again from Central Asia) who were the last Muslim empire in South Asia. A Buddhist artifact from Gandhara (today Swat valley). 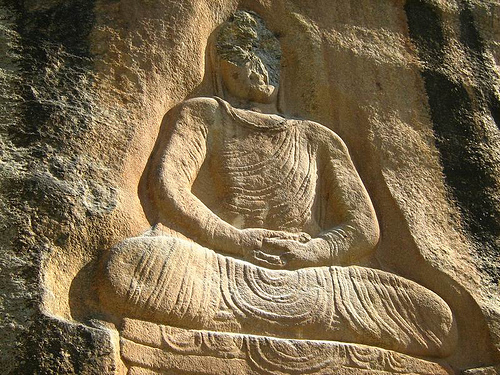 Buddhism gained strength in Pakistan during Mauryan rule and during the Greco-Bactrian establishment. No ancient text weather Sanskrit, ancient Persian, ancient Greek or other mentions such a religion. The Arabs noted at least 42 distinct cults/religions in their writings from sun worshipers to snake and idol worshipers. The religion of the Indus Valley Civilization is yet to be known considering weather they even had a single religion or any religion at all. Traces of Greek paganism can also be found due to Greek rule of Pakistan starting around the third century BC. Monuments and artifacts of their mythology can be found in North Western Pakistan especially Gandhara and Taxila (close to Islamabad and Peshawar). However, no followers of Greek paganism can be found in Pakistan today. A Greek bust from the Greek Kingdom in Northern Pakistan. Galerija | This entry was posted in pakistan, članek and tagged antropologija, pakistan, članek. Bookmark the permalink.